Early this month I mentioned that I wanted to do a language update as part of my Weekly Wishes since it’s been so long since I’ve done one (read 7 months). I did go through a period where I didn’t do much studying or practice – it was completely sporadic – and I feel quite horrible about it, but I’m glad to share that I’m back on track and hopefully making some progress. 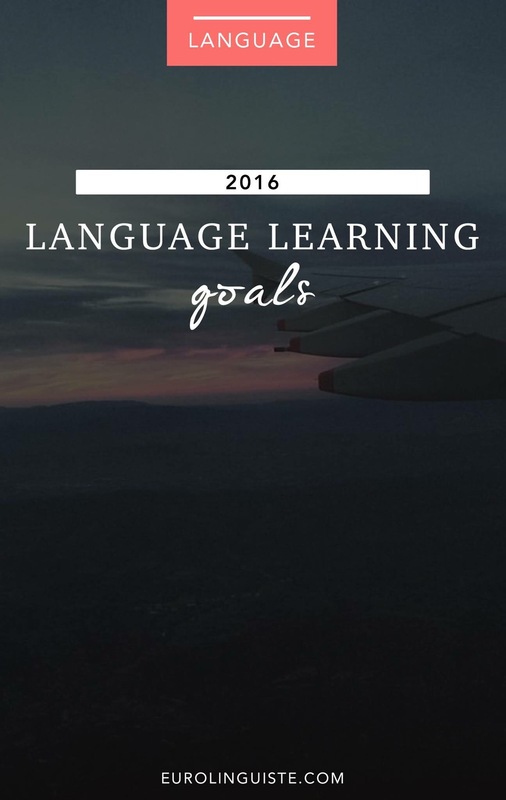 Towards the end of last year I announced that I am focusing on learning Mandarin this year. It took me a bit longer to turn my attention from Croatian, a language I really enjoyed learning and felt some attachment for, to a language I was entirely unfamiliar and unsure of learning. I was between Japanese and Chinese for this year but I ended up leaning towards Chinese because I thought it might be more useful than Japanese even though my personal preference was towards the language I did not pick. If you’re considering learning a new language, I really don’t advise choosing a language for the reason that I did this past year because it makes learning it very difficult. You’re far more motivated to learn a language when it’s one you WANT to learn rather than one you feel you should learn. The good news is, that all has changed for me in recent weeks. When I first began studying Mandarin, it was difficult because the sounds and tones were so completely unfamiliar. I couldn’t quite pick it up on my own and I didn’t have anyone to practice with. I was trying to do it on my own and avoiding learning to read and write as long as possible. It was a very slow and ineffective way to go about it. But then I had my first in-person conversation, the opportunity to try out my abilities in Taiwan, and I also discovered FluentU where I could listen to the Chinese versions of songs that I knew. Through a combination of all of these things, my desire to learn the language began to grow, motivating me to work at it, study, and learn not only pinyin, but Simplified Chinese as well. This inspired me to start looking for other resources that increased my interest in not only the language, but the culture, something I think is critical in language learning. Each time I began to recognize a new character when looking at a wall of text and each time I was able to pick out a word in either a movie or real life contexts, I grew more excited about learning the language. I still am likely not able to hold a long conversation in Chinese, but each day my vocabulary is growing and I’m learning to recognize more symbols. Each day that my abilities improve motivates me to continue moving in a forward direction. I’m not hoping to learn the language “quick.” I prefer to study and work on it on a way that will stick so I’m using a diverse collection of resources and methods to come at it from all angles. It ensures that I’m more likely to retain what I learn even if I sometimes feel like I’m starting over each and every day. Learning to read and write in Chinese. I feel like I forget all the characters I learn and have to start over each day. So here’s what I am currently using to study Chinese and a general look at my language study schedule. 1. Pimsleur – Each morning I try to complete one Pimsleur lesson. Sometimes this lesson is a repeat from the day before (I usually have to do them twice to retain the new vocabulary and feel comfortable moving on). This is just to work on my listening/speaking skills, but it hasn’t done much to really help me with conversation. From Pimsleur alone I’ve really only learned how to ask for directions (although I wouldn’t understand the response), order a beer (啤酒), count, pay for things if I don’t feel they are too expensive (太贵了), and ask a friend if they would like to get something to eat with me. Check out Pimsleur Mandarin . 2. Chinese with Mike – I don’t remember how I came across Mike 老师’s Chinese lessons, but I am so grateful that I did. Around lunch time I sit down and try to work through anywhere between 1 and 5 lessons (depending on if I already know the material or if it’s new). His lessons are primarily speaking/comprehension, although he does include the pinyin spellings of words. My only complaint is that he stands in front of the board too often and if I don’t write down the vocabulary fast enough, I have to continually rewind and pause the videos. If you’re learning Chinese, you should definitely check out his lessons. They’re highly entertaining. Check out Chinese with Mike. 3. Yoyo Chinese – If I’m looking for something a little different than Chinese with Mike, I do lessons with Yoyo Chinese. These are also video lessons that come with supplemental resource sheets, but Yang Yang’s approach is slightly different than Mike’s. Her lessons are a little more serious, and she has a great series called “Chinese on the Street,” where you get to hear Mandarin spoken out in the real world rather than it being solely in a classroom-like setting. I also like that she includes both the Simplified Chinese and Pinyin spellings of the vocabulary in each lesson. Check out YoYo Chinese. 4. Lonely Planet Mandarin Phrasebook – This was a gift from my parents for Christmas and it has become one of my most used resources. In addition to using it for general reference, I use it to learn the Simplified Chinese symbols for the material I learn via Chinese with Mike and Pimsleur. I’ve found it incredibly helpful because it adds one more level of active involvement for me with Chinese. Once I’ve learnt the pinyin spelling, and have heard the pronunciation, I can then extend my knowledge by learning the Simplified Chinese form of the words I’m using. Grab the Lonely Planet Mandarin Phrasebook & Dictionary . 5. Assimil – I only recently starting using this book this weekend, but it’s great practice for both comprehension and reading/writing. I’m only a couple lessons in but I used Assimil for Croatian and have found it to be a great resource. Check out Assimil Chinese with Ease . Other tools of the trade? Two colors of highlighters (one for cultural information and another for words). A small but many-paged notebook for lots and lots of practice. You can also check out my Mandarin Language Learning Resources here. As for the other languages I’m learning, German, Italian, and Croatian, they are all on standby for the time being. I’m giving 100% of my energy to learning Mandarin. What about you? Are you studying another language? What resources have you found helpful?